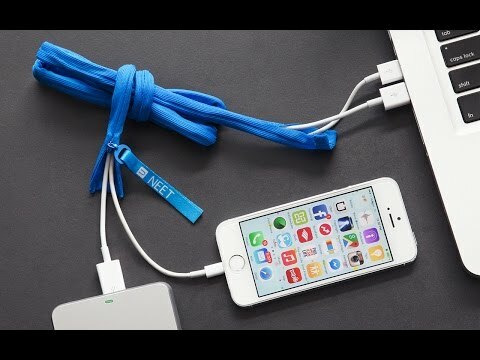 Keep your cords and cables organized and untangled with the NEET cable keeper. Easy to zip one or more cables inside and, with bendable wire sewn in, fold or shape your cables and they’ll stay that way. 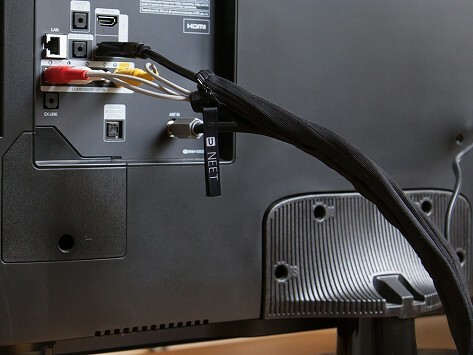 Great for behind the TV or wherever you need to contain lots of cords. Dimensions: 1.5" x 0.25" x 48"